Is it obvious when you’re on holiday or away from the home? For example, are your curtains always shut or is there lots of unopened post? 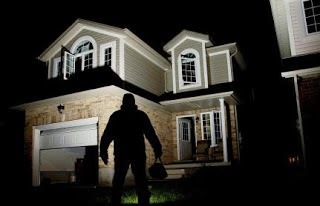 Security lights – Lights with sensors in the garden and front of your property will help to deter a burglar as they are more confident when working in the dark. Key Safe – A Key Safe is a secure box where you can safely and securely store your keys without having to hide them or to rely on a neighbour or family member to look after them.